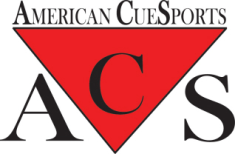 American CueSports Alliance (ACS) is a non-profit, national organization dedicated to heightening the interest and awareness of cue sports through the support and sanctioning of organized competition thorughout the United States. ACS is the only non-profit sanctioning body. ACS does not sell franchises or territories. The only money submitted is player sanctioning or league membership fees. This fee is $10 per player per league per year. A league sanctioned with another national league association may dual sanction with ACS as long as its intention is not to undermine the ACS national league-sanctioning body. Any league wishing to dual-sanction with ACS must inform ACS national headquarters of its intentions. There is an ACS Dual Sanction Form that can be completed. But, it is best to call ACS directly at 920-662-1705 to discuss dual sanctioning. Why dual sanction with ACS? $10 per player sanction fee is one of, if not, the lowest sanctioning fees offered to pool leagues. Free league stats online software/website available for your league to utilize. 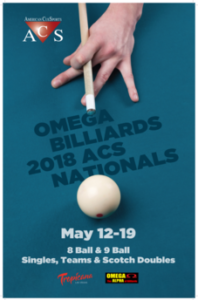 ACS Sanctioned league receive a Free Omega Billiards Cue. 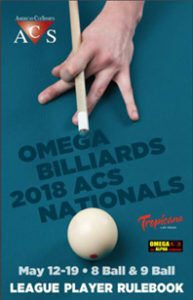 The only requirement is that you post the Omega logo on your weekly standings or website. 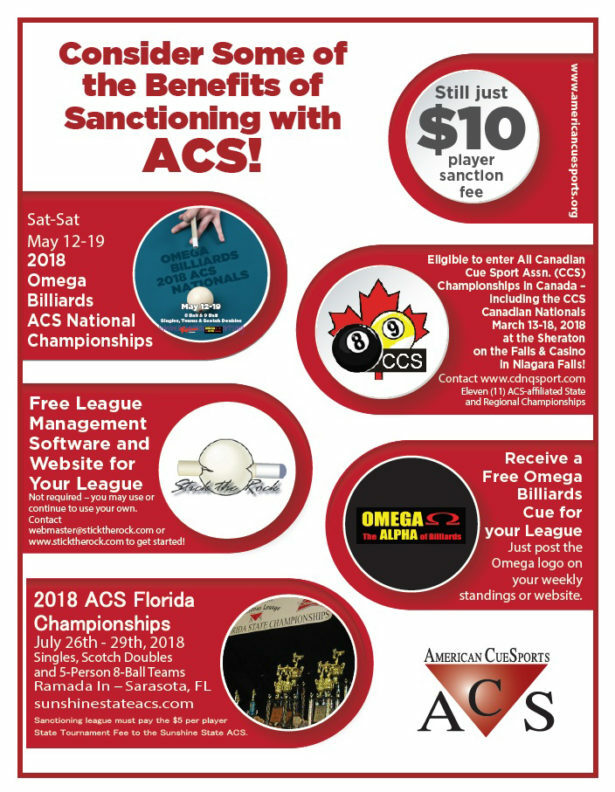 Florida leagues that dual sanction and pay a Florida State Tournament fee of $5 per player are eligible to compete in the 2018 ACS Florida State championships to be held July 26th – 29th in Sarasota, Florida. Discounts with online retailers are available to ACS members. Sanction with ACS to take advantage of some of the benefits that ACS offers. Click here to learn more about ACS Dual Sanctioning.